London: Faber & Faber, Incorporated, 1970. Small four-digit number in ink to ffep. First U.K. edition; 32pp. Tight, clean copy of this later work of the author's noted Cantos series. . First British Edition. Hard Cover. Near Fine/Near Fine. Indianapolis: Bobbs-Merrill, 1968. Introduction by Elizabeth Hardwick; indentation from paper clip on top of ffep. ; 72pp.. First Edition. Hard Cover. Near Fine/Near Fine. Indianapolis: Bobbs-Merrill, 1972. Tight, clean copy of this early book by Shepard. Also includes the plays: Forensic and the Navigators, The Holy Ghostly, Back Bog Beast Gate, Shaved Splits, and 4-H Club. 233pp.. First Edition. Hard Cover. Near Fine/Near Fine. New York: Viking, 1991. 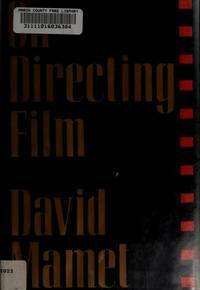 Scarce first edition by Mamet and a must have for those interested in movie making. Based on a series of lectures at Columbia University in 1987; 107pp.. First Edition. Hard Cover. Near Fine/Near Fine. New York: Fleet Publishing Corporation, 1965. Small four-digit number in ink to ffep. Marriage on the rocks in three novellas', "Grounds for Divorce", "Old Friend", and "Whodunit"; previous owners name penned on half title page; 192pp. By the noted musician. Closed tear to bottom of rear panel of dust jacket. . First Edition. Hard Cover. Near Fine/VG++. NY: Knopf, 1983. Virtually "as new" copy of the first edition of the author's scarce second book. By the noted author of "Mariette in Ecstasy" and "Desperadoes". 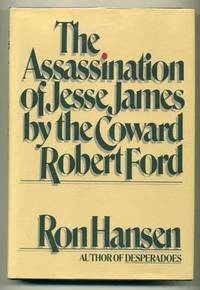 This book was recently made into a movie that starred Casey Affleck, Brad Pitt and Sam Sheppard. . First Edition. Hard Cover. Near Fine/Near Fine -- Price-Clipped. NY: St. Martin's, 1994. Bound in brown leatherette, stamped in gold. This is the SIGNED, Ltd. edition of this book (ltd. to 150 copies). This is un-numbered, so it is "out of series" -- often a gift from the publishing house. Subtitled "A Star Shines Over Morris Park". With decorative endpapers and a silk book marker laid in.. Signed by Artist. First Edition. Hard Cover. Fine/No Jacket -- As Published. Signed, Limited Edition. London: Macmillan & Co., 1991. This is the first British edition of the author's notable first book. Beautiful copy -- bright, tight and clean. Begley is the author of "About Schmidt". . First British Edition. Hard Cover. Fine/Fine. NY: Knopf, 1977. Tight, clean first edition of this book of short stories by one of the modern day masters of the genre. Remainder mark to bottom edge. . First Edition. Hardcover. Near Fine/Near Fine.